Written Unveiling the Weak by Bridger Cunningham. A week of scarce programming revealed the true values of sitcoms and perhaps will make renew, cancel and scheduling decision a little easier for their respective networks. 16 original sitcoms were on display this week with two series doing back-to-back duty. This was the week that pulled the pants down of the network's laughers in the ultimate practical joke as NBC rebounded and ABC crashed. Sunday, March 11 featured one sitcom return for FOX, as Bob's Burgers (0.8) made an anticipated drop, losing 1.3 points out of its last inflated entry. Monday, March 12 left scraps for viewers as Man With a Plan (1.0) was evenly matched with its last entry out of a Big Bang Theory rerun, and Living Biblically (0.7) matched its last entry out of a Young Sheldon repeat. Tuesday, March 13 was a tell of network politics as The Middle (1.1) carved out a series low after dropping a tenth, Fresh Off The Boat (0.9) matched its last entry, and double helpings of Blackish (0.9 each) in the 9:00 hour marked the first time the series dipped into fractional waters. Next week marks FOTB's season finale. Over at FOX, LA>Vegas (0.7) and The Mick (0.6) were even with their last entries. Wednesday, March 14 was an evening for ABC heavyweights (?) Modern Family and The Goldbergs to take the evening off. In their wake, a double helping of Speechless (0.9 each) also marked a setback for the improving series as it saw its first fractional performances, and will be making its season finale next week. And American Housewife (1.0) held its weight out of a common MF rerun. The hits on each network are clear and concise. ABC's oldies are the heavy hitters as Modern Family, The Goldbergs and The Middle all carry the schedule. A sad reality, as The Middle is coasting on senioritis during its last season, Modern Family is collapsing and rumored out next season, and The Goldbergs took a heavy hit this season and has been the defacto leader the last two outings. CBS' Heavy Hitters are plentiful on Thursdays as The big Bang Theory/Young Sheldon/Mom trifecta are on fire. And Kevin Can Wait is one of the few rocks the troubled Monday lineup can cling to. 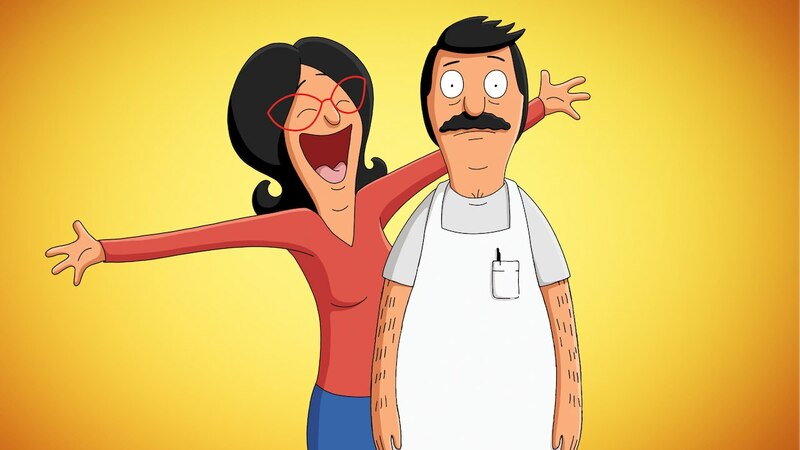 FOX's Sunday lineup holds its current three heavy hitters with The Simpsons, Family Guy and a resurgent Bob's Burgers claiming victories. This again will guarantee viewers will have a plethora of sitcoms on Sundays next year. And as for NBC, the heavy hitters also consist of Fall trifecta Superstore/The Good Place/Will&Grace. The shows profiled in this classification, save for The Middle, will be the anchors for the schedule next year. That means CBS needs a retool for Mondays, ABC needs to topple Tuesdays, and NBC may consider moving The Good Place to 9:30 next fall as the 8:30 timeslot is ideal for launching new series. Each network holds series which may be prone to fractions, yet still make excellent filler on the schedule. ABC's Black-ish, Fresh Off the Boat, Speechless and American Housewife all took a hit this season. But they showed they still shine in odd weeks and may make ideal placeholders in the half-hour slots. CBS also boasts three fine middlers as Man With a Plan is sturdy, Superior Donuts is the little engine that could and Life in Pieces is improving over its early 2017 performance. Much of FOX' lineup falls into this category with Ghosted, The Mick, LA>Vegas and Last Man on Earth. All of these series benefit from strong lead-in's and are best suited squatting on Sundays. And as for NBC, AP Bio and Great News split ratings into fractions, but are NBC's sturdiest options outside the heavy hitters. One of these may survive to the next year. Most of these entries mentioned will return next year, albeit they will not have priority placement on the schedule. ABC will relegate most of these entries into the 30 minute slots or potentially timeshare them. CBS may move these entries around, and FOX is likely to lose at least one entry in this pack. First is to succeed, second is to fail. ABC is fortunate its lone failure is the critically-acclaimed The Mayor. CBS embarrassed itself with a trifecta of failures with My, Myself & I, 9JLK and now Living Biblically. FOX' veteran Brooklyn 99 is ailing, and NBC's Champions is irony in titling. The lowest common denominators in this category all reside/resided in the 9:30 timeslots, two of which have already met their untimely ends. This season is a glaring lesson that networks need to knock it off with saddling its newbies with the dreaded 9:30 timeslots. Imagine if The Mayor was housed in the 8:30 timeslot behind The Middle. It would be garnering fractions right now, but may have made it a full season. CBS did attempt to launch 9JKL on Mondays at 8:30, so that failure is not based on address but content. As for FOX, the Tuesday block in general takes more of a pounding than any of the Kardashians trying to land a new husband. Give these shows a little Sunday love instead of allowing This Is Us' nielsen train to run through these sitcoms like a sidewalk.